Sequels often pale by comparison, but the Jack Nicklaus-designed Cochise Course at Desert Mountain Club in north Scottsdale enjoyed its second go-round as the host of a big event on the Champions Tour. The season-ending Charles Schwab Cup Championship is a departure from the former Tradition, which was played at the same venue from 1989 to 2001, but it has many similarities to the event that helped establish Desert Mountain as one of the country’s more-prestigious golf communities. “That was our plan from the outset,” Desert Mountain General Manager Bob Jones said. “Coming out of a sagging 2008 economy, part of our marketing plan was to bring back a major golf event like we had with the Tradition, and with the help of Jack Nicklaus we got the opportunity to do that. The original plan was for the event to alternate sites each year between Desert Mountain and TPC Harding Park in San Francisco. This year marked its second visit to Scottsdale, and it will return to Desert Mountain in 2015 and 2016 under a revised schedule. “It has been tremendously successful here, and that’s not always easy to do in an area that has an extremely popular event like the Waste Management Phoenix Open,” said Champions Tour President Greg McLaughlin. “The goal for us was to find more of a permanent home, building a brand in the marketplace. Jones hopes the experience will extend beyond that. 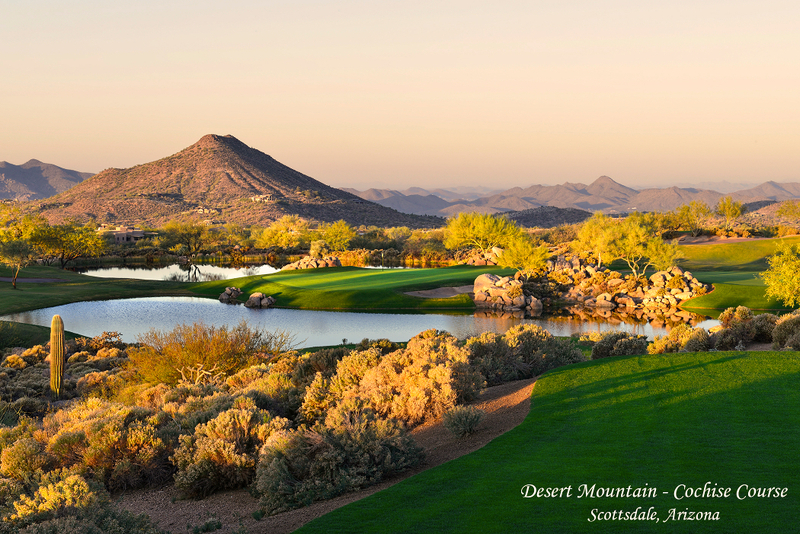 He noted that, after the 2012 event, players and the Tour voted Desert Mountain as their favorite venue that season. Also, he said the TV exposure has had a positive impact, with the highest international viewership being in the United Kingdom, Asia and the Netherlands. Since the 2012 tournament, he said, people from those areas have accounted for 110 new-home starts and more than 200 new memberships at Desert Mountain, which features six Jack Nicklaus Signature Golf Courses. The Cochise Course and facilities received excellent reviews again this year from players. Kenny Perry, who tied for fourth, likened the layout to a U.S. Open-type setup with hard, fast greens and challenging pin positions. McLaughlin said the Tour was delighted with the latest player critiques. Based on early ticket sales, the event expected to draw about 50,000 fans. Jones said the actual figure was closer to 40,000, with the largest attendance being Saturday, just as it traditionally is with the PGA Tour’s nearby Phoenix Open. Fans were treated to some exciting golf, including a blistering second round of 62 by Jay Haas and a four-hole playoff in which Tom Pernice Jr. edged Haas for the title. Lehman, Haas, Fred Couples, Bernhard Langer and Colin Montgomerie are among today’s Champions Tour stars. This year, nine players qualified for the first time for the season finale, which is limited to the top 30 in season point standings. Davis Love III and Vijay Singh already have turned 50, making them eligible for the Champions Tour. Others who will reach that age by 2020 include Ernie Els, Phil Mickelson, Jim Furyk, Steve Stricker and Retief Goosen. Whether the event will stay at Desert Mountain long enough for their debuts remains to be seen. The Tradition left after 2001 in large part because it became a strain on the community and a big inconvenience for members.